Here is your chance to be part of a Pharmacy team that does life changing work every day. 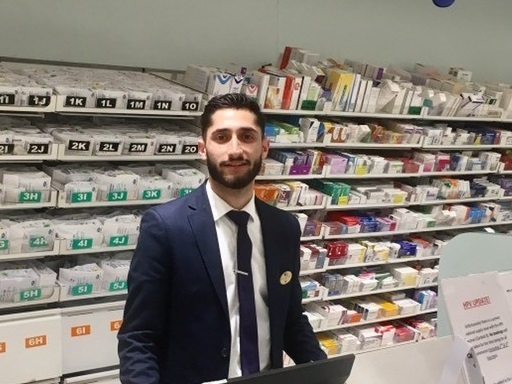 Join us for your Pre-registration training and you will be based in a store that is purposefully selected to give you a breadth and depth of experience within community pharmacy; supported by experienced tutors and pharmacist trainers. Still looking for at 2019 Pre-registration Placement in England? We have re-opened applications for our 2019 Pre-registration placements. Due to popular demand many of our Pre-registration placements have already been filled, but to find out which locations are available click here. 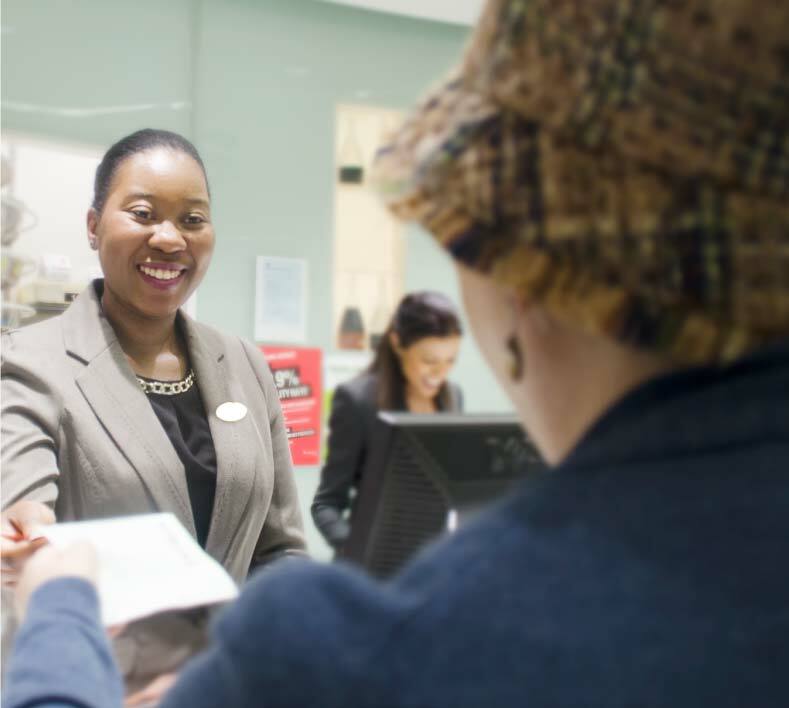 Take a look at our Pre-registration hub, where you’ll be able to see our application dates and discover more about our Pre-reg programme, including testimonials and videos from our colleagues. 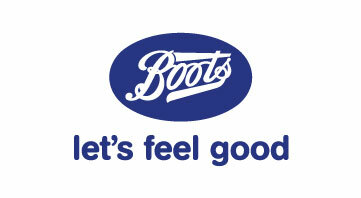 For additional updates please visit our Facebook page Boots Pharmacy Placement. Your Pre-registration training questions answered. How does the year work? After the 2017 Pre-reg year, we offered newly qualified pharmacist positions to over 90% of our trainees. 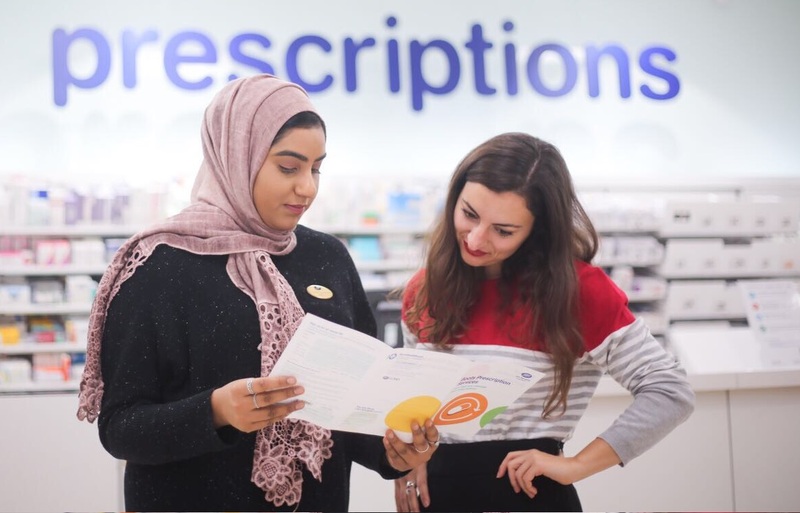 We train a special number of Boots Macmillan Information Pharmacists during their Pre-reg year to help those in need in the local community as well as supporting other charities. We hold an annual two-day conference, with a hotel stay and dinner provided. We also offer further training, including an opportunity to achieve a Clinical Diploma. Our Pre-reg programme is approved by the GPhC & PSNI. Every year our GPhC & PSNI registration exam pass rate is higher than the national average. We have one or two monthly face-to-face study days throughout the year. We’ve created an online training platform, exclusive to our Pre-reg students. We give you a dedicated tutor and you have access to further support from the wider team for training and development. Online assessment: Sent within 48 hours of submitting application. This should be completed within several days of receiving the email. Students who complete our 2019 Summer Placement programme may have the opportunity to secure a 2020 Pre-registration placement with us before the Oriel recruitment process. All remaining Pre-registration placements will be advertised through ORIEL in Summer 2019. For information on the ORIEL process visit www.hee.nhs.uk. We have over 700 Pre-registration training pharmacies across the UK. These locations are the stores which are being offered for a 2019 Pre-registration placement. These stores may change for the 2020 Pre-reg intake. 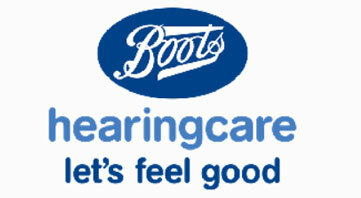 I already work for Boots, do I still need to apply for a Pre-registration placement? We want to support the further development of our colleagues whenever possible. You may therefore be eligible to receive a direct Pre-registration training offer with us. Please refer to the intranet to see the current guidance. 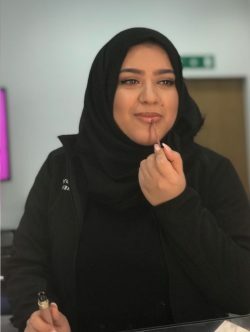 Do I need to complete a summer pharmacy placement to apply for a Pre-registration placement with Boots? No, it is no longer a requirement. However, it’s advisable to ensure that you have some experience in pharmacy to relate to during your Pre-registration interview. I’ve heard that community pharmacy isn’t very clinical, is this true? We are immersed into primary care, making us the first port of call for many patients when they need help or advice on their symptoms or medicines. In addition to this, we offer a wide range of innovative pharmacy services that pharmacists are given advanced training to deliver. These include Meningitis B, HPV and flu vaccination services. We also have several hospital outpatient pharmacies, supporting us to deliver excellent person-centred care. What’s next for me after completing my Pre-registration training? We will support you through the RPS accredited Foundation Programme; building on your knowledge and skills through your first 1000 days of practice. We have an Advanced Practitioner Programme to develop your clinical knowledge and there is an opportunity after that for colleagues to complete a Clinical Diploma and independent prescribing course. 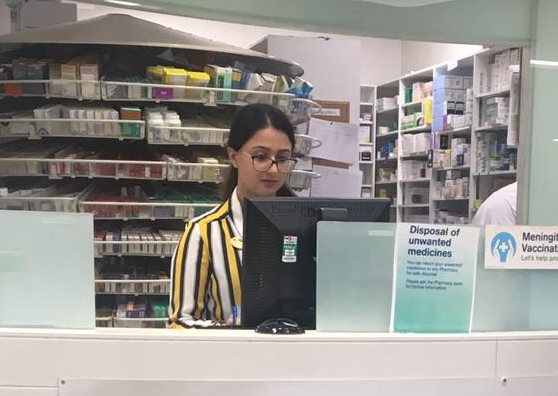 Join our Boots Pharmacy Placements Facebook page to receive updates on the Pre-registration 2019/20 & 2018 Summer Placements campaign and ask any question you may here. Ask our Healthcare Academy Trainer from you university. With around 2,500 health and beauty stores across the UK, approximately 90% of the population is estimated to be within a 10-minute drive from one of our stores. For each store, we have developed a multi-format strategy – focusing on giving our customers more of what they want and need. Through the care of our friendly and professional colleagues and our ‘Order & Collect’ service, we make sure our customers have easy access to any of our products, from any store. These stores are healthcare-focused, community stores. These aim to reach even more of our customers where they want us and work closely with other local healthcare providers to keep local communities healthy. 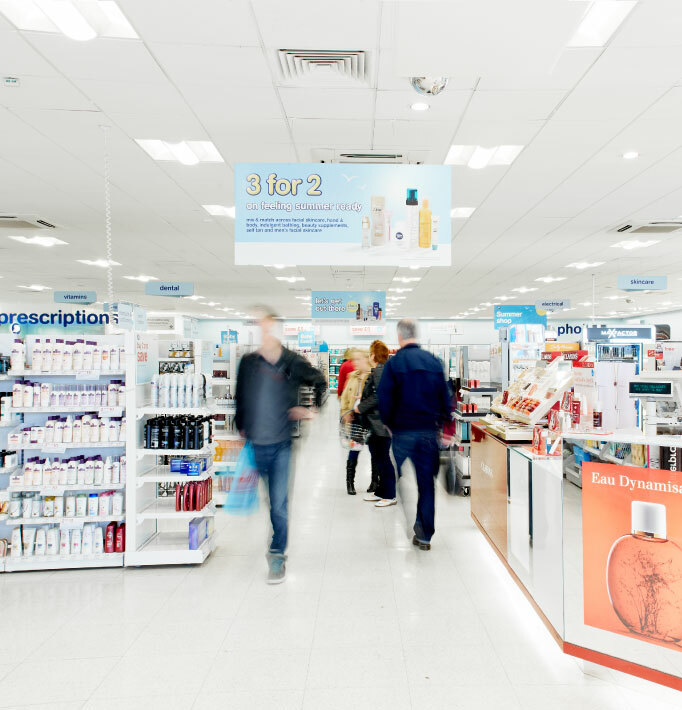 Usually located at the edge of town, or on the high-street, these stores offer pharmacy-led care whilst also acting as a destination for shopping. They offer a wide range of products, including all of our leading brands. These stores have our widest healthcare offering, including extensive pharmacy services, our Opticians practices and our Hearingcare locations and the biggest range of premium beauty and exclusive brands. These have our targeted ranges, meeting the last minute needs of our customers when they are travelling. By joining our Pre-registration training programmes, you’ll be offered support by your colleagues and treated as a valuable member of the community. You’ll gather a wide range of experience in a number of services offering, as well as the traditional prescription dispensing. You’ll also have the opportunity to support your local community through additional training such as becoming a Dementia friend or Boots Macmillan Information Pharmacist. 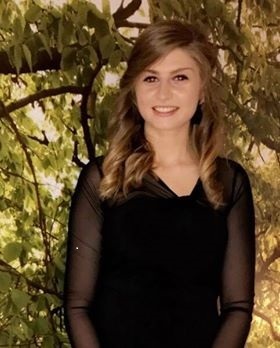 You will also help towards the development of other team members, using the skills you learn during your placement, such as coaching trainee pharmacy advisors. During the year, you will be provided with a structured training programme that not only supports you in collecting evidence against the regulator performance standards, but sets you up to sit the registration assessment. 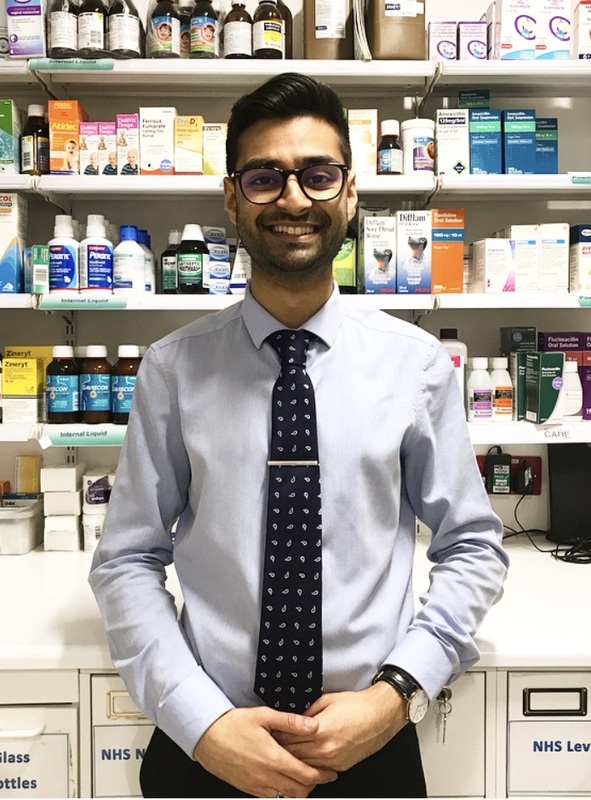 Our Pre-registration Pharmacist Programme support your development to becoming a competent, confident pharmacist, allowing you to put your knowledge into practice. In 2017, we offered a newly qualified pharmacist position to over 90% of our Pre-reg trainees – subject to performance and location during their Pre-registration year. We have a wealth of pharmacy opportunities available and there are many different locations to be placed after you have completed Pre-reg. Name: Email: Where are you based? What has your experience of Pre-reg been with us? A welcome day with your tutor. You’ll be invited to a welcome day where you can spend some valuable time with your tutor to set you up for the year ahead. We have a digital learning programme on our online learning portal, which gives you the chance to understand our Pre-registration programme better. We also organise monthly face-to-face study days where you can put your knowledge into practice. Throughout your year with us, we will provide you with plenty of support to set you up for the registration exam, include calculation papers and a full length mock exam. You’ll also be invited to the annual Pre-registration pharmacist conference, where you can learn about the industry and the opportunities we offer which will be delivered by senior leaders across the business. Supporting each other is at the core of our culture. During your Pre-registration year you’ll be supported, not only by your tutor and other colleagues in store, but by your area and regional team, including a Healthcare Academy Trainer. We believe in giving you the best support to get you through your Pre-registration exam. It all began in 1849 with a family and a store in Nottingham. John Boot opened the first herbalist shop that offered an affordable alternative to traditional medicines. It enabled the poorest to help themselves and championed everyone’s right to feel good. 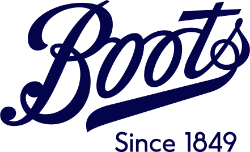 John Boot’s son, Jesse later took over the business, helping it to dramatically grow through manufacturing. This was the start of the store turning from a small family business, into the Boots we know today. 1895 We pioneer the use of analytical chemistry as a means of quality control, appointing our first analytical chemist. As the department develops, it becomes an established principle that nothing should be sold without it passing a number of rigorous examinations first - something we pride ourselves on to this day. 1925 A 24-hour pharmacy was opened at our Piccadilly Circus store. This is the first step to offering our customers an around-the-clock pharmacy service. 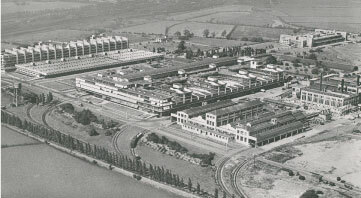 1927 Our existing sites in the centre of Nottingham had reached full capacity, so to support the growth of the business, a two-hundred- acre plot was purchased at Beeston in Nottingham to expand manufacturing capability. 1935 No.7 launches. Soon to become one of our most iconic brands, the product line evolved from a desire to provide a prestigious, but affordable beauty range. Specialist consultants were brought in to give expert customer advice and some of our stores even opened No.7 beauty salons. 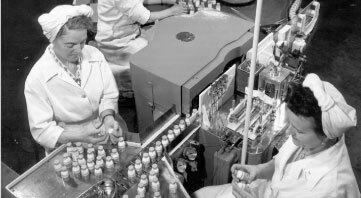 1944 We begin mass producing penicillin and our factory becomes the world’s largest antibiotics manufacturing facility. 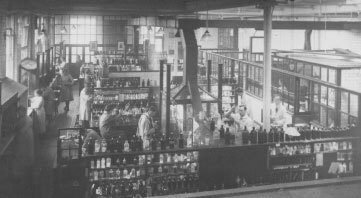 1951 We become the first chemist, and one of the first retailers, to introduce self-service at our store in Burnt Oak, London. 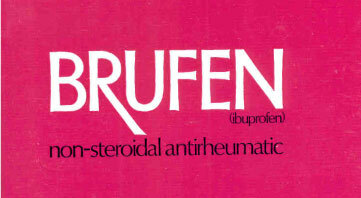 1969 Ibuprofen is launched as a prescription drug, under the name Brufen - the result of 16 years of research. Our team tested over 1,500 new compounds during their search. 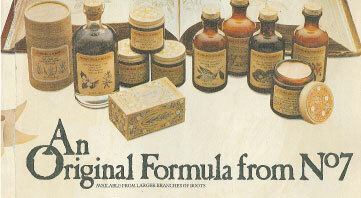 By 1980, Brufen was to become one of the UK’s number one anti-inflammatory treatments. 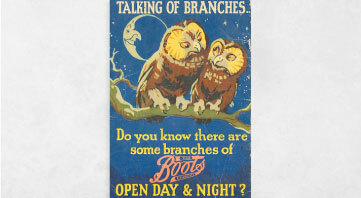 1970 The Boots Charitable Trust is set up to fund and support charities in Nottinghamshire. Over its forty-year lifetime, our Trust has donated around £10m to health, lifelong learning and community development in Nottinghamshire. 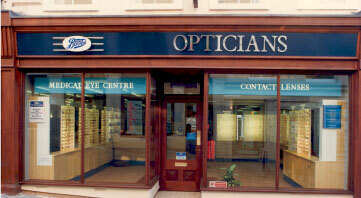 1987 Following on from the first in-store opticians practice in 1983, we form ‘Boots Opticians’ and soon become the second largest opticians in the UK, increasing our patient offering. 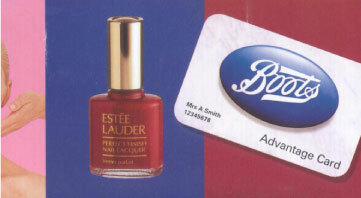 1997 We launch our Boots Advantage card, now used by millions of people on a weekly basis up and down the United Kingdom. After 2000 The turn of the 21 st century has led to even more new services, such as hearing aids and BootsWebMD.com, an online health and wellness information portal, soon to be made available to the public. 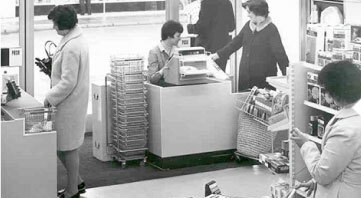 From humble beginnings, we have grown to become one of the biggest pharmacies in the world. Despite this growth, our people are still at the heart of our business. Nearly 170 years later, we still want to show others what it really means to make a difference. Our purpose has always been to champion everyone’s right to feel good. Across 2,500 stores, and the people that work in them. People who care. People like you. Are you interested in working part-time in our stores while you continue studying towards your MPharm degree? 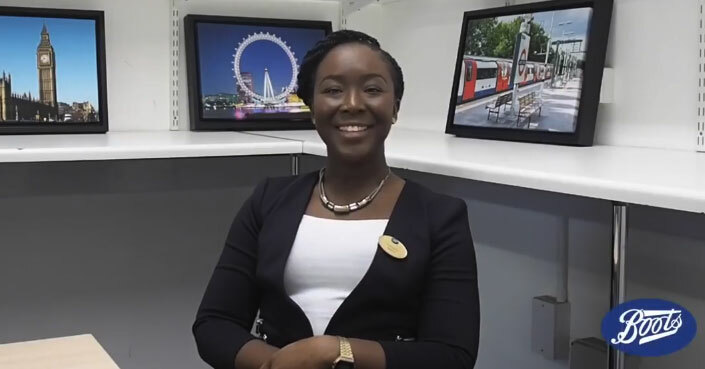 Abena is a newly qualified Pharmacist. 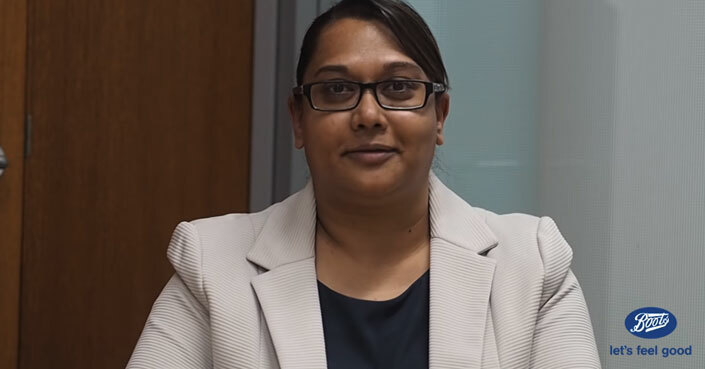 She completed her Pre-reg training last year and this video describes her journey. 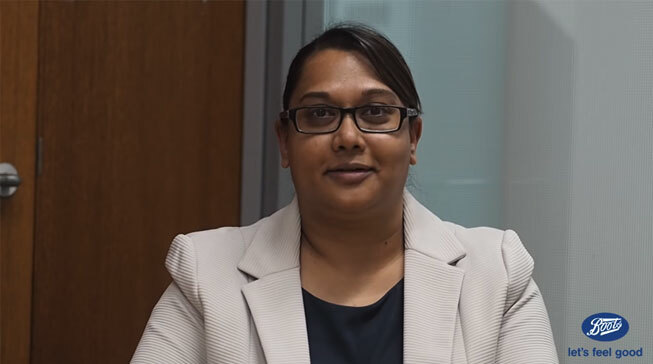 Jasmin is our Learning & Development Manager, she answers some questions you may have about our Pre-reg year. 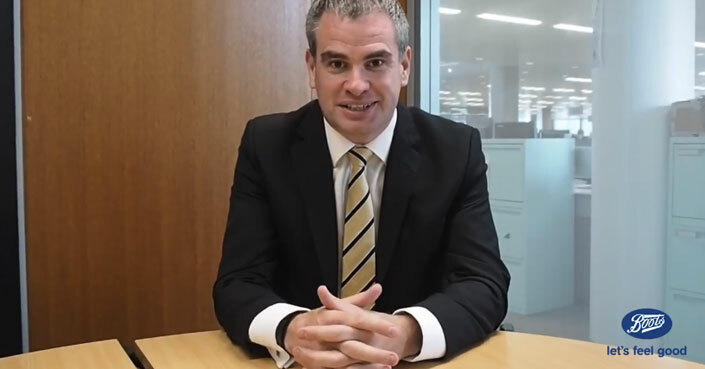 Marc is our Chief Pharmacist, he answers some questions about his career and our Pre-reg training programme.